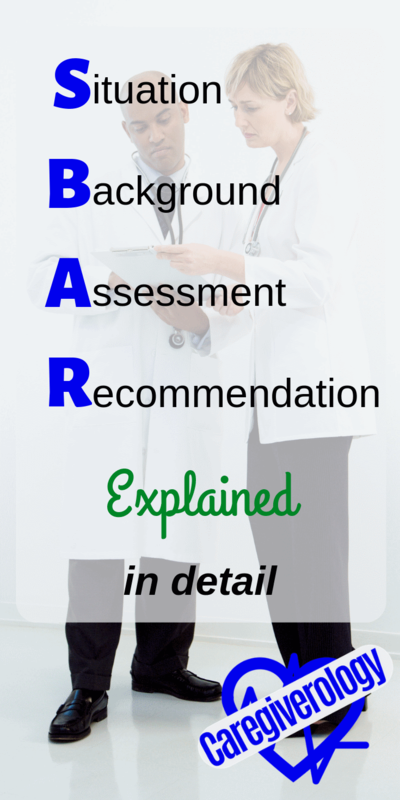 SBAR is an acronym that stands for situation, background, assessment, and recommendation. It is used primarily as a tool to quickly communicate patient data. It simply breaks down what information should be covered when describing a situation in order to receive a recommendation. Although SBAR is a tool mainly used by healthcare workers in the field, the general idea of it can be used by virtually anybody, such as family members caring for their loved ones. 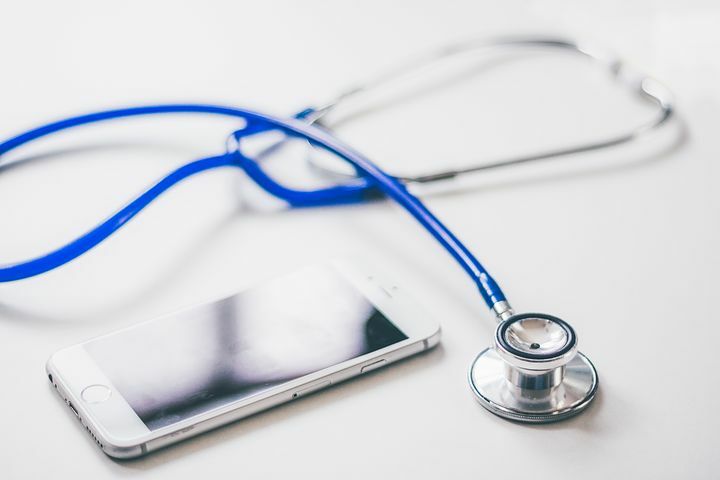 Even if they aren't too familiar with medical terminology, they can still use the acronym as a framework to better explain the status of a patient to each other, as well as passing the information to professionals. 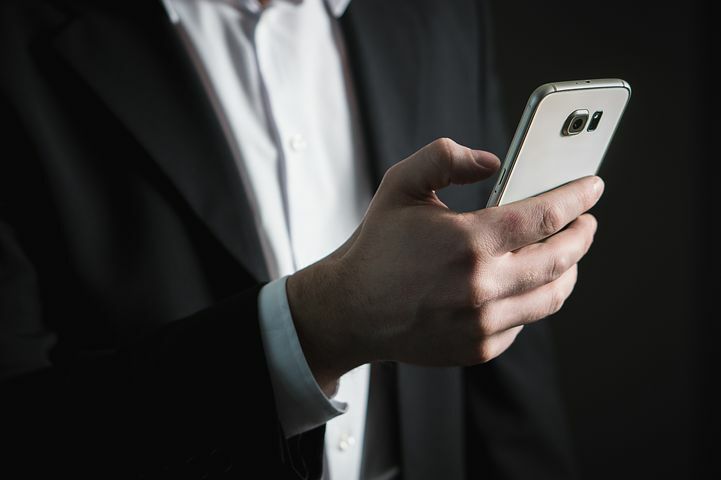 When being admitted to the hospital, many patients, or those connected to the patient such as family and friends, will be asked questions in order to get the information they need to lay out a proper SBAR. The more people become familiar with what they are expected to know, the easier communication and understanding becomes. It can be used during nursing shift report to pass patient information to the next healthcare worker. It could also be used during a phone call between a registered nurse (RN) and a physician to get new orders. Or even by secretaries to call in patient consults. The concept is simple, but its usefulness is endless. On this page, I will be using the format of a nurse speaking to a physician over the phone. Example answers will be in (parenthesis) along with the example in full at the bottom of the page. The situation describes the issue or reason for contacting the physician. This is where you provide basic information about yourself and the patient. This is where you describe the patient's background information that relates to the situation you described previously. This is where you describe what you assessed about your patient that relates to the situation. This can include all of the primary senses such as what you see, hear, smell, feel, etc. This is where you either offer your own recommendation, or you ask the physician for their recommendation on how to move forward with your patient. In other words, the intervention for you to make. Doctor: Hello, this is Dr. Who. (S) Hello Dr. Who, this is nurse Jackie on unit 2 East at General Hospital. I am calling regarding your patient 68 year old Mr. John Doe in room 242. He is complaining of severe back pain. (B) He was admitted for an increase in back pain on 8/23. He has had chronic back pain for 5 years. He recently had a spinal fusion done on 8/24. He is currently getting 5 mg oxycodone Q6 PRN with the last dose given at 1623. He is allergic to morphine. (A) His current vital signs are BP 182/109, HR 116, RR 28. He has recently been profusely sweating and has shallow breathing. He had a shuffling gait while hunched over when he went to the bathroom earlier. He has been crying and moaning for the past 15 minutes and states "I'm in much more pain now than I was before surgery." He also is concerned asking "Did something go wrong with my surgery?" (R) Would you consider changing his pain medication to 10 mg oxycodone Q4 PRN? Would you like us to get a STAT back x-ray to make sure everything is as it should be? Do you want us to monitor his vital signs every hour at this point until they become stable? Remember that SBAR is just a tool. There is no rule that states everyone has to explain things in this specific order with this much detail all of the time. It is something to refer to when you aren't sure you have all of the information you need. As you practice using it, you will eventually be able to gather everything you need without much thought. It is simply a good starting point to familiarize yourself with the process. Have you ever used SBAR? What did you use it for? Did it help you learn effective communication? What points did I miss? Is there another tool you like better? Let me know in the comments below.